For Search and Rescue Operations, These Dogs Lead the Pack! When she received the phone call, Colette Daigle-Berg felt her heart sink. A 4-year-old girl was missing. She had been abducted from Wolf Point, a community of about 2,850 in Northeast Montana. As members of the volunteer organization Western Montana Search Dogs, Colette and her dog Chapter were being asked to assist in the search for the child. A suspect had been arrested on Saturday, and by Sunday morning he finally agreed to direct authorities to a remote cluster of buildings on the outside of town. Working in tandem with Chapter, Colette managed to find the girl, hiding beneath a blanket, alive and well. 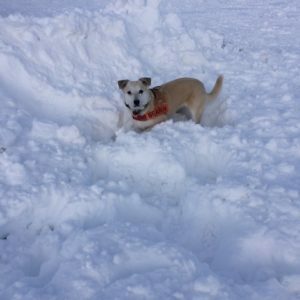 “Amazing” is a word that can easily be used to describe the abilities of the Search Dogs, whose duties range from finding missing hikers to avalanche victims. As was the case with the girl in Wolf Point, many of the stories have happy endings. In other cases, such as drownings or backcountry suicides, the search teams must take solace in bringing a small measure of closure to grieving families. WMSD is an independent, all-volunteer organization dedicated to serving the public. Team members personally purchase their own dogs, dog food, reward toys and other items. Wellness care, vaccines and the majority of vet bills are paid for by members, who also cover travel costs for most of their training events and some searches. “They’re just dedicated to helping people,” Sheriff Hamilton said. To Colette, the real heroes are the dogs, who spend their lives in ongoing training, constantly refining skill sets and learning new ones. The teams hold certifications in disciplines such as Tracking/Trailing, Air-Scent (large area search), Human Remains Detection, Water Recovery (both from the shore and from boats), Avalanche, Evidence Detection, and Building Search. Most teams certify in at least one or two disciplines by age two. They must re-certify in each discipline every two years. 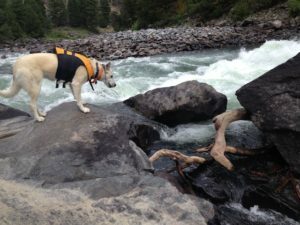 Donations can be sent to Western Montana Search Dogs, P.O. Box 4505, Bozeman, MT 5977s. 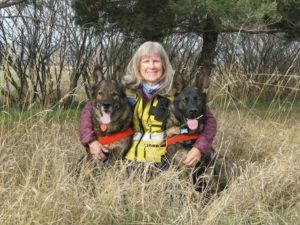 For more information on WMSD, please access their website at westernmontanasearchdogs.org or you can visit them on Facebook.